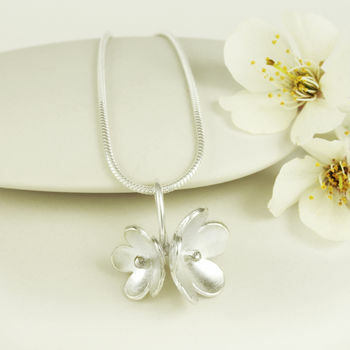 This pretty handmade sterling silver flower necklace was inspired by Japanese Cherry Blossom. A longer 45cm (18'') chain is available. If you are uncertain about which chain length to choose, we also have an adjustable chain which can be worn at either 16" or 18". 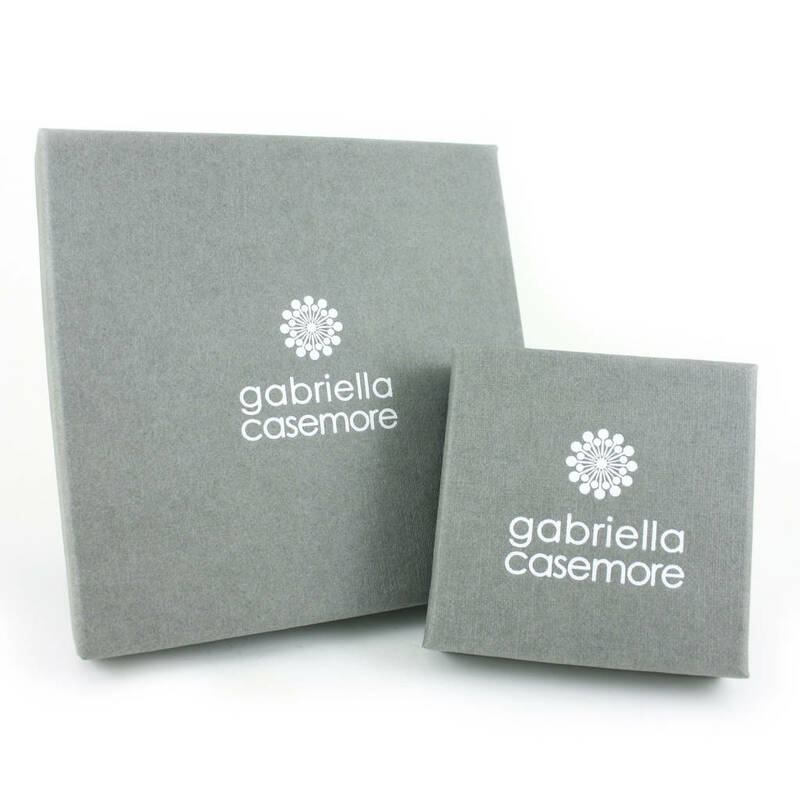 When worn at the 16" length, the extra length of silver chain hangs down at the back of the neck. 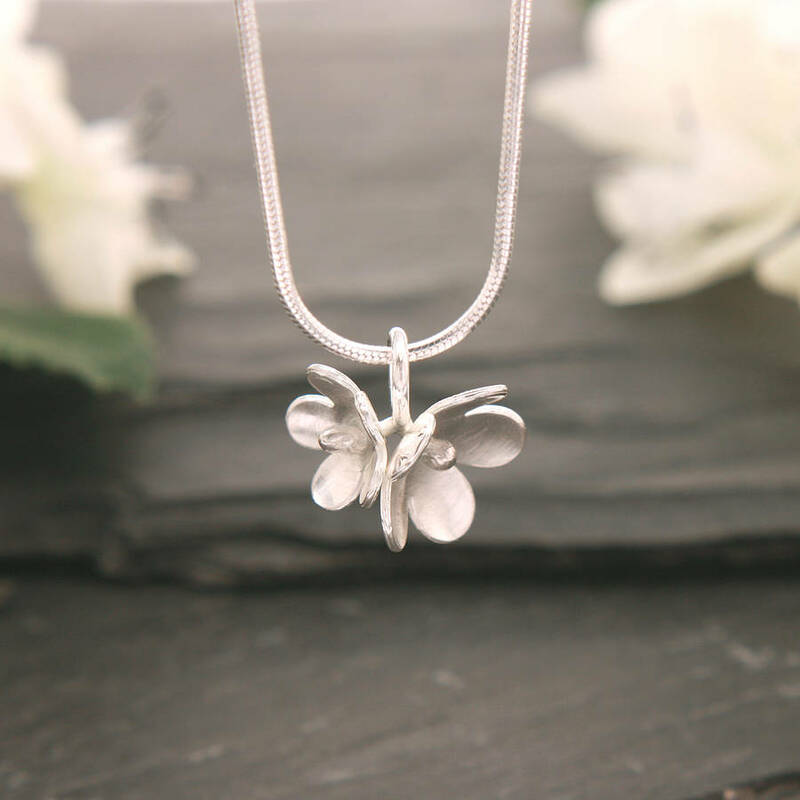 Handmade from solid sterling silver. This is high quality British sourced silver and as such does not contain any nickel. Care instructions included. 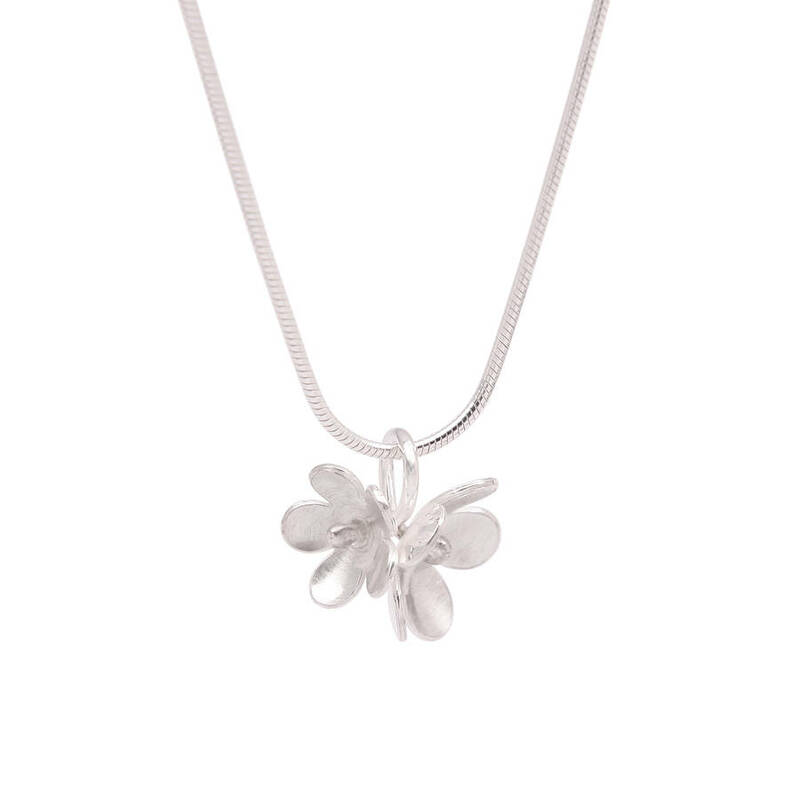 The flowers measure approximately 1.5 cm together at the widest point, and have a brushed surface finish.